I've really been trying to get into primers. 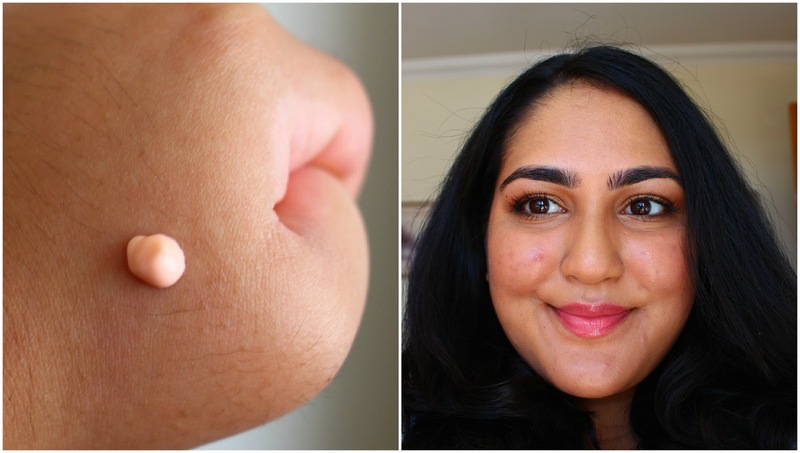 I love the idea of prepping the skin so that makeup not only lasts longer, but applies better. 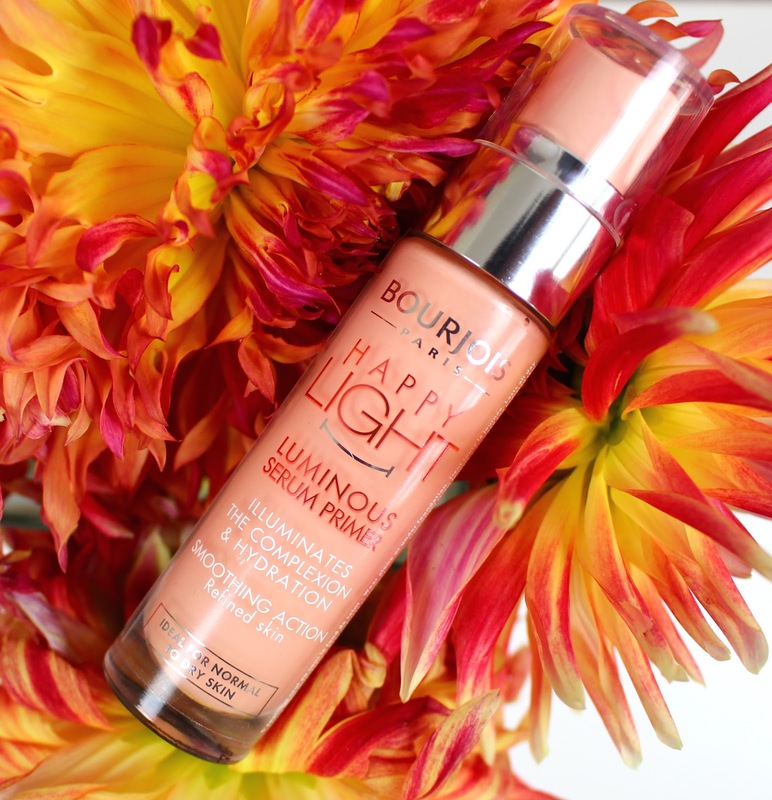 If you read my latest haul, you'll know I picked up the Bourjois Happy Light Serum Primer. Having used it several times, I think I'm in love. As the name would suggest, it's a very light primer and I'm very happy about that. Sorry, I couldn't resist a little play on words! Terrible joke aside, this primer truly does feel like a weightless serum on the skin. It's hydrating without being greasy or heavy and makeup sits so well on top of it. The glow this gives is unreal. Picture a lit from within, healthy, I've been drinking lots of green smoothies kind of glow. Yeah that. My makeup has never looked better. I also really appreciate the fact that there is no glitter or shimmer in the primer, meaning you can wear it in the daytime without fear of the Edward Cullen look. My makeup definitely lasted longer. My foundation stayed in place, didn't cake or crease and looked fresh all day. I was really surprised that such a lightweight formula could make such a difference, especially since I tested it on a day when the weather was really hot. I think this would suit most skin types because whilst it gives a luminosity, it doesn't register as shine or grease. If you're looking for a new primer, I highly recommend trying the Bourjois Happy Light Luminous Serum Primer. At £10.99, it's not the cheapest but it's completely worth it.